The Kilner twist top jar and bottles are great addition to the range and are perfect for serving sauces and condiments and storing dried fruit and herbs. Made from high quality, 30% recycled glass. Made in England. Durable. Reusable. 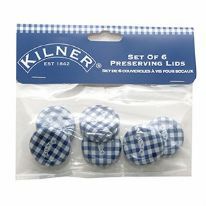 Blue gingham, easy to twist top lids with Kilner logo. 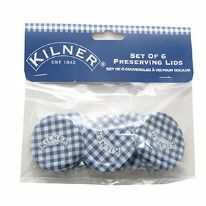 The twist off lids include an intergral heat sealable band and will create an airtight seal when filled with hot contents. Base is dishwasher safe. Replacement lids available. 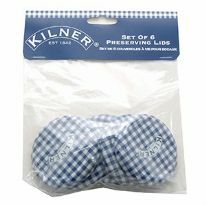 There are 5 different sized lid packs: Kilner Lid Pack A to Kilner Lid Pack E.